For those fans of ghost tours, horror movies and a good scare, October is the most coveted month of the year thanks to the many haunted houses and hay rides that pop up near South Orange. If you want to get scared without venturing too far from your Third and Valley apartment, you’re in luck! From those that are kid-friendly to attractions that are sure to leave even the toughest with nightmares, our area has it all when it comes to everyone’s favorite October activity. 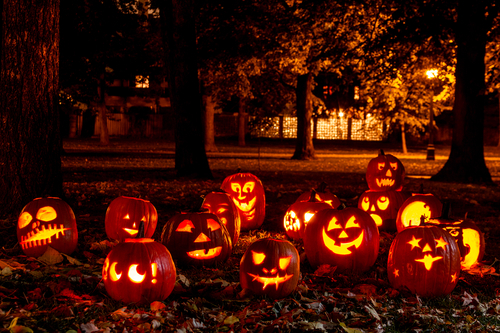 Don’t miss out on these haunted attractions this month! Bane Haunted House, located at 630 W Mt Pleasant Ave, Livingston which is 20 minutes from your Third and Valley apartment, was named “The Scariest Haunted House in New Jersey” by The Star-Ledger two years in a row and is listed as one of the most terrifying haunted houses in the nation by Buzzfeed. Bane Haunted House plays on every one of your fears – claustrophobic, separation anxiety, clowns and more. They have also recently brought the horror to the next level, renovating their attraction and doubling the walkthrough path. Brighton Asylum, located at 2 Brighton Ave, Passaic which is 30 minutes from your Third and Valley apartment, is an industrial warehouse that has been converted into a haunted attraction which has been featured on The Today Show, Cake Boss, Buzzfeed, ABC, NBC, FOX and more. The asylum shut down in 1952 due to staff and patient disappearances, as well as intolerable living conditions. Now, the asylum has re-opened and is accepting new patients! Brighton Asylum is a massive walk-through dark attraction filled with terrifying live actors, horror movie style scares, and Hollywood quality special effects.